The centre of Medical Physiotherapy Hospital Clínica Benidorm extends the hospital’s unit of Rehabilitation and Physiotherapy. 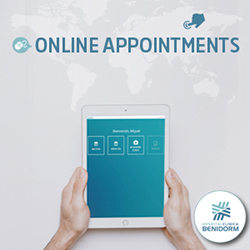 Medical Physiotherapy Hospital Clínica Benidorm provides service to all outpatients whilst within the hospital, just a few metres away, our specialised team provides Inpatient Physiotherapy and Rehabilitation. The Medical Physiotherapy team of HCB is made up of a specialist doctor in rehabilitation and physical medicine, physiotherapists and two auxiliary nurses. 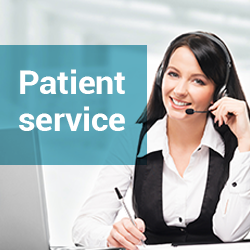 They are in constant contact with the other medical specialists of the hospital with the aim to offer personalised and quality solutions to the patients. The installations -500 m² in which 2 medical consultations, 6 treatment boxes and a spacious gymnasium are distributed, as well as dressing rooms with showers and lockers and ample communal areas and reception- dispose of the latest technology to carry out the Medical Rehabilitation and Physiotherapy. 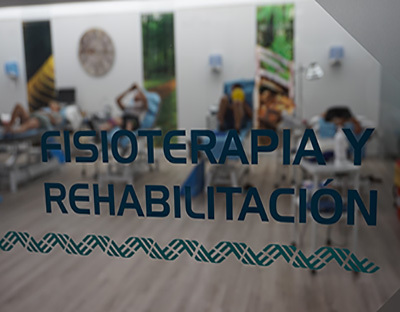 The Rehabilitation and Physiotherapy service of Medical Physiotherapy Hospital Clínica Benidorm pay thorough attention to patients with any type of impairment towards the recuperation of lesions or to improve their grade of functionality. Eco guided medical infiltrations to the myofascial trigger points with anaesthetics or botulinum toxin. Medical therapy for Spasticity with Eco guided infiltrations of botulinum toxin. Toning of the pelvic floor with biofeeback. Infiltrations for the treatment of pain. Child paralysis and treatment with botulinum toxin. The treatment is carried out in the medical consultations and gymnasium of the centre of Medical Physiotherapy HCB. 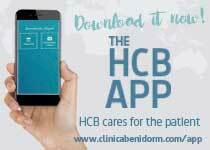 Additionally, it is also performed in the hospital area of the Hospital Clínica Benidorm, giving the specialised service that the hospitalised patients may need. 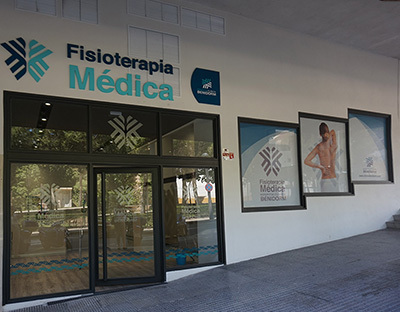 The centre of Medical Physiotherapy of Hospital Clínica Benidorm is situated on Avenida de L´ Aigüera, 13 (Benidorm). You can find it between Avenida de L´Aigüera (just near the bull ring) and the Calle Orcheta, which comes down from the Avenida Beniardà.